Captain our state of the art simulator based on the world's most popular airliner, the Boeing 737-800NG*, where you can choose from more than 24,000 airports around the globe in almost any weather condition you can imagine - the choice is yours Captain! As soon as you enter you'll be sitting in the Captain's seat. Your personal instructor will act as your First Officer, guiding you throughout your entire journey. Perform as many take-offs and landings as possible, or fly a real-world route in real time. You could take off from Paris at night, fly under the Sydney Harbour Bridge, or try the infamous Kai Tak airport in Hong Kong. Or if speed is your thing, try flying at supersonic speeds in our state of the art flight simulator based on the F/A-18 Super Hornet*. Under the instruction of your qualified flight instructors, we’ll have you doing barrel rolls, engaging with enemy aircraft in dog fights with full use of the laser guided weapon systems and machine guns. For the real Top Gun pilot, try landing this amazing jet on the aircraft carrier at nearly 250 Kms per hour!, by far the most challenging and addictive parts of the flight! This high speed jet will have you flying like the best of the best! 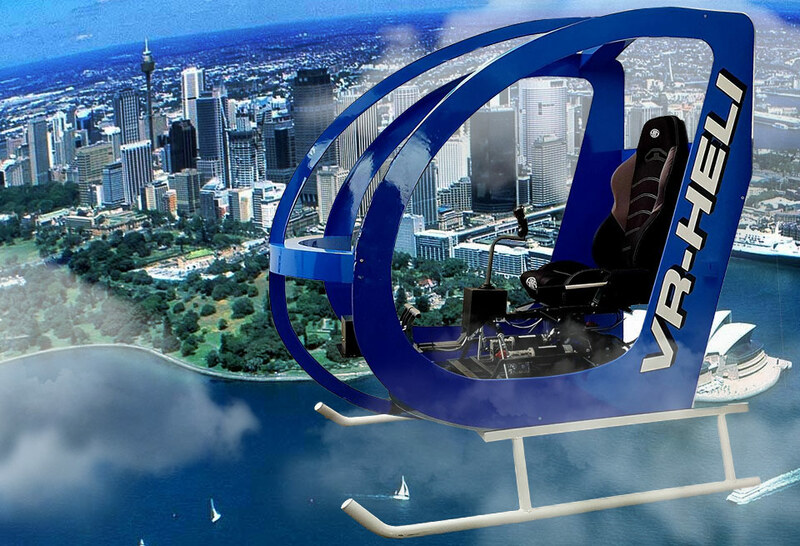 Put yourself in the seat of Adelaide’s only Full Motion Helicopter simulator! This simulator has a 6 axis full motion base incorporating a state of the art Virtual reality head set for full immersion! 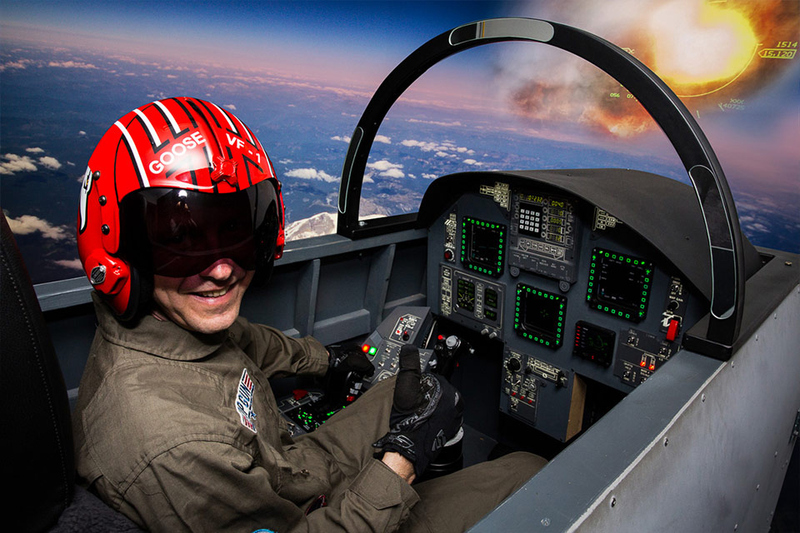 See what it’s like to have your hands on the controls of this amazing simulator. Choose from over 24,000 airports in all weather conditions. You’ll have a qualified pilot by your side to guide you through your session. This is the latest simulation in Adelaide and it’s as real as it gets! Not sure which simulator to choose? 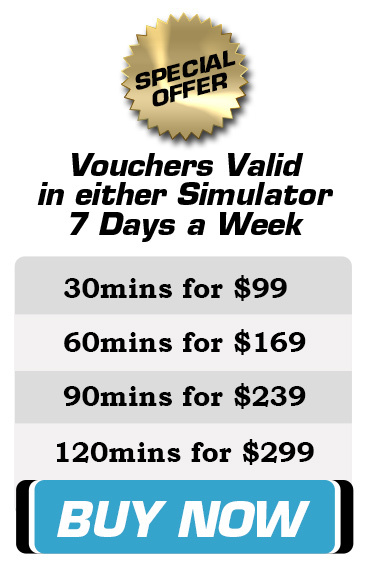 There's no need to decide which simulator you'd like to choose before purchasing. You'll receive a personalised gift voucher that you can give to the lucky recipient, with information about all 3 simulators, when they book in they can decide which they'd like to fly. Our pilots cater each session to each customer, so whether you have no previous flying experience or you're a seasoned pro, we're there to ensure you make the most of your flying experience. Yes, they're real pilots and they're great fun! Can friends come and watch? Absolutely! We have 3 jump seats at the back of the simulator so your friends and family can come along and watch, and take photos! You can also purchase a Flight Recording to remember your experience for a lifetime. All Vouchers are valid for 12 months, we're open weekends and evenings to suit everyone's availability. Our Commercial Airliner simulator, based on a Boeing 737-800NG*, is suitable for all ages. We've had budding pilots as young as 5 years old. Our VR Helicopter is suitable for ages 12+. How do I purchase a voucher? You can purchase a voucher online anytime or call Steve on 0447 737 000. You can elect to have your voucher emailed or posted. Want to know what our customers think of the experience, CLICK HERE to read our reviews on Facebook (you do not require a Facebook account).